August | Howard Rideout Architect Inc.
With the exciting new cottage being designed for a dramatic site on the Moon River, near Bala in Muskoka, Howard is again back in the landscape he loves best. He brings the experience designing hotels in Asia to this exciting project. The cottages two wings enclose a large living space linked by a bridge across this post and beam interior. 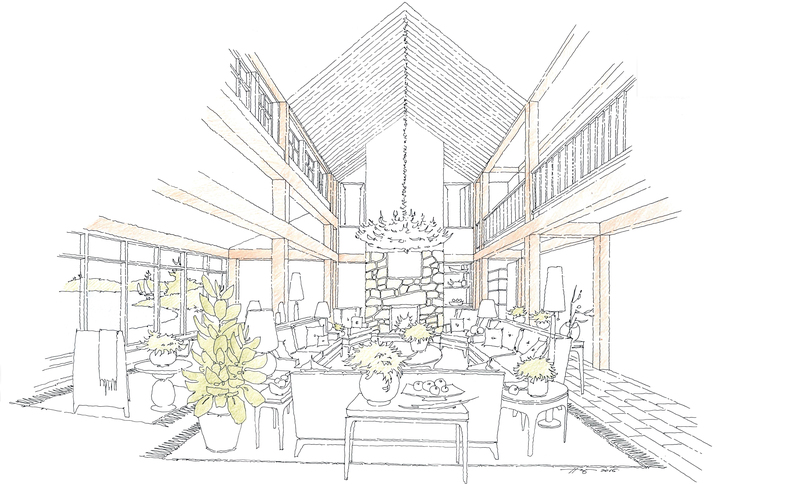 The cottage is a hybrid, using post and beam construction in the main living area to give the space warm, character and a substantive scale while utilizing standard wood frame construction for the homes two side wings. This project is being designed to be LEED Platinum to ensure life cycle costs are minimal.